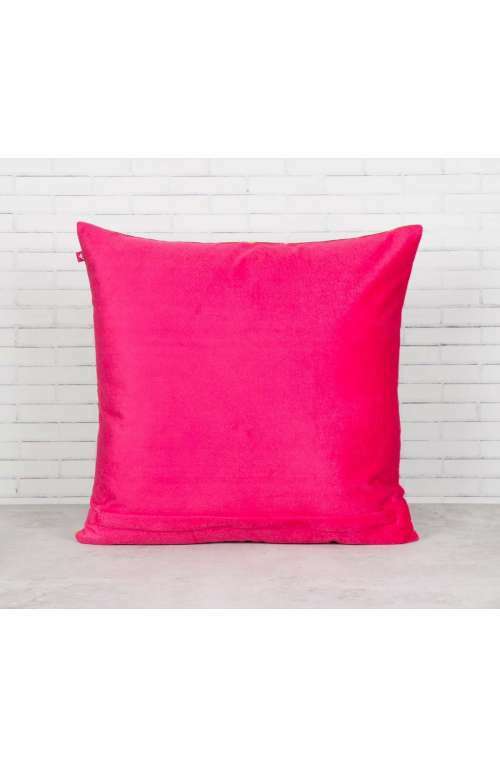 Made with gorgeous blended velvet, add a touch of texture to your colorful boho room or a pop of color to your minimalist decor with this pink cushion cover. 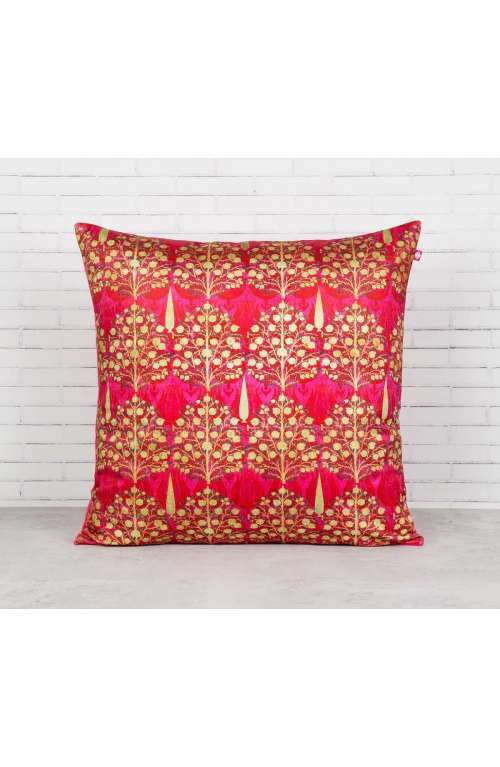 This gorgeous pink pillow cover has pomegranate print all over and comes in a reddish pink color. Add a touch of opulence and boho beauty to any room with this pink cushion cover made from blended velvet fabric. With gorgeous pink pomegranate cones printed on this boho cushion cover, you can turn a minimalist room into your personal zen space with this pink pillow cover. Velvet pillow covers are currently all the rage in the home decor sphere, and you can add a bit of trendy symphony to your couch as well.